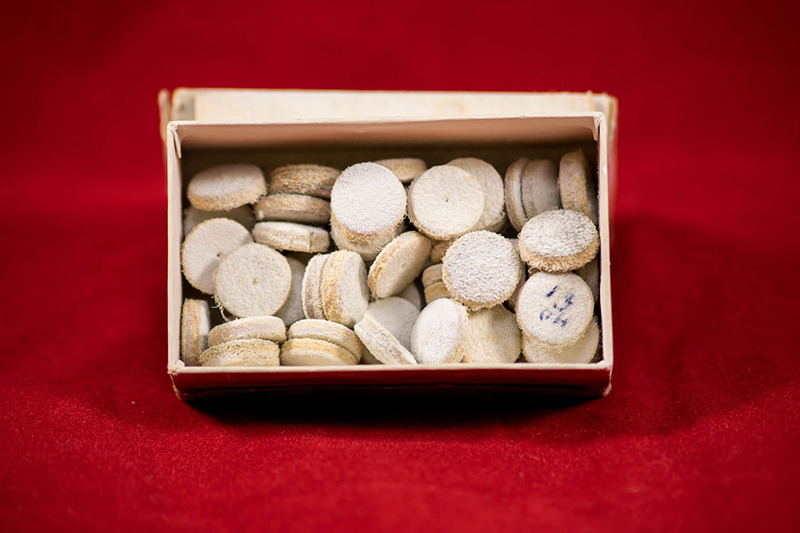 Polishing pads for carrying pumice and other powders for cleaning teeth and polishing restorations. 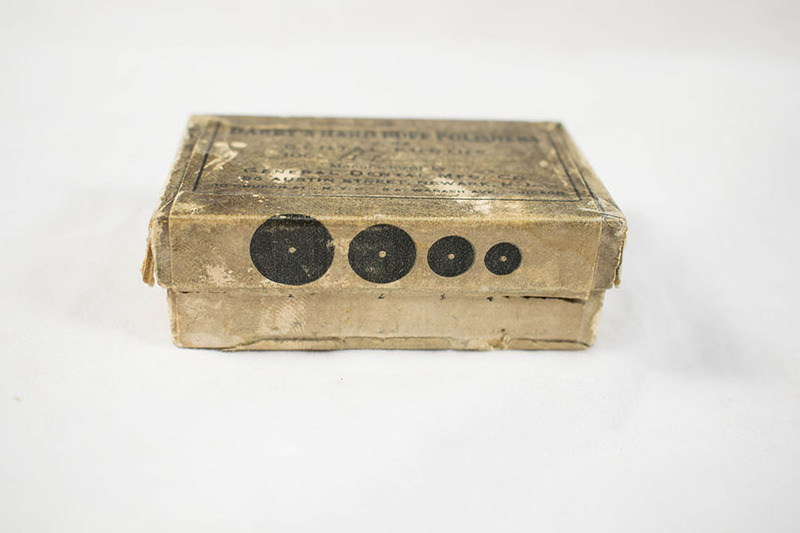 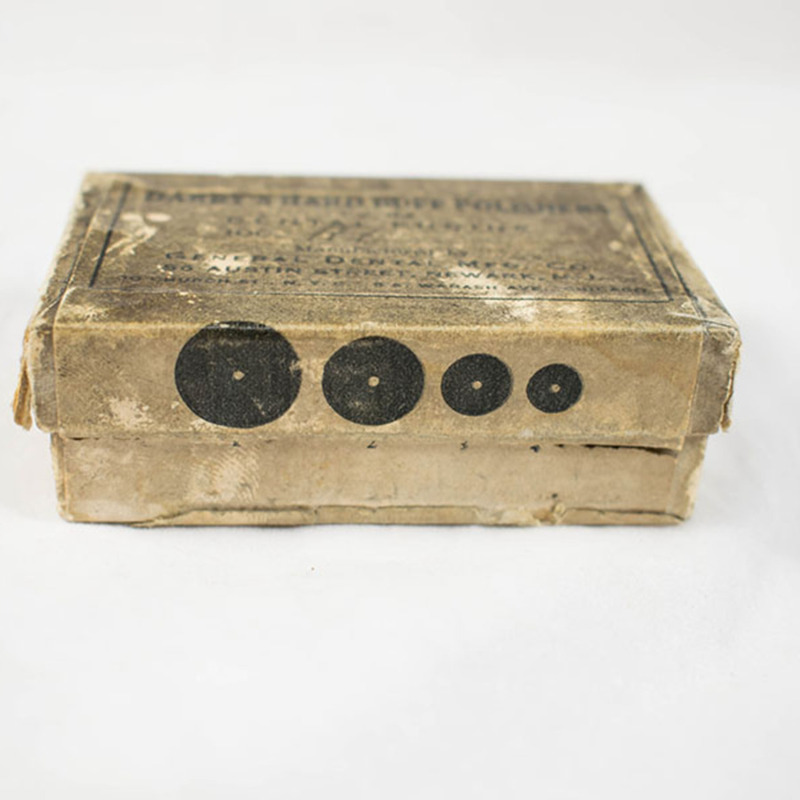 This cardboard box contains several buff polishers, which would be placed at the end of the drill to polish teeth. 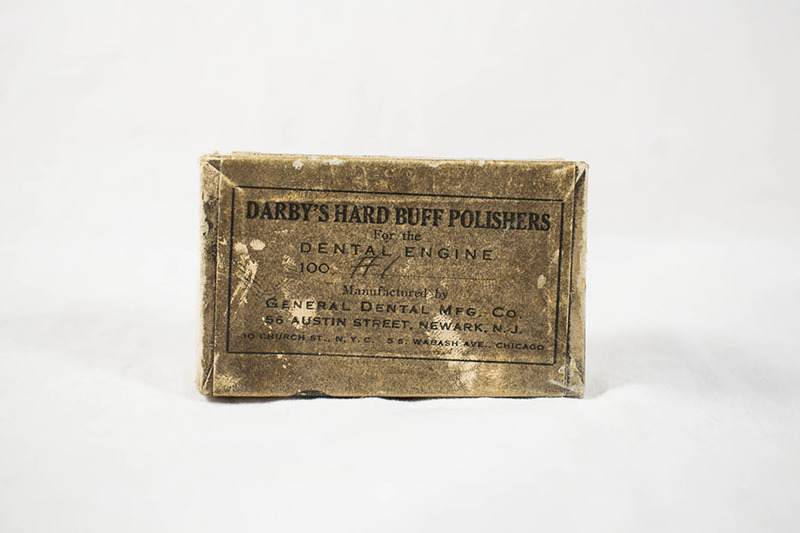 General Dental MFG Co. , “Darby's Hard Buff Polishers for the Dental Engine,” Heritage, accessed April 23, 2019, https://heritage.rcpsg.ac.uk/items/show/124. 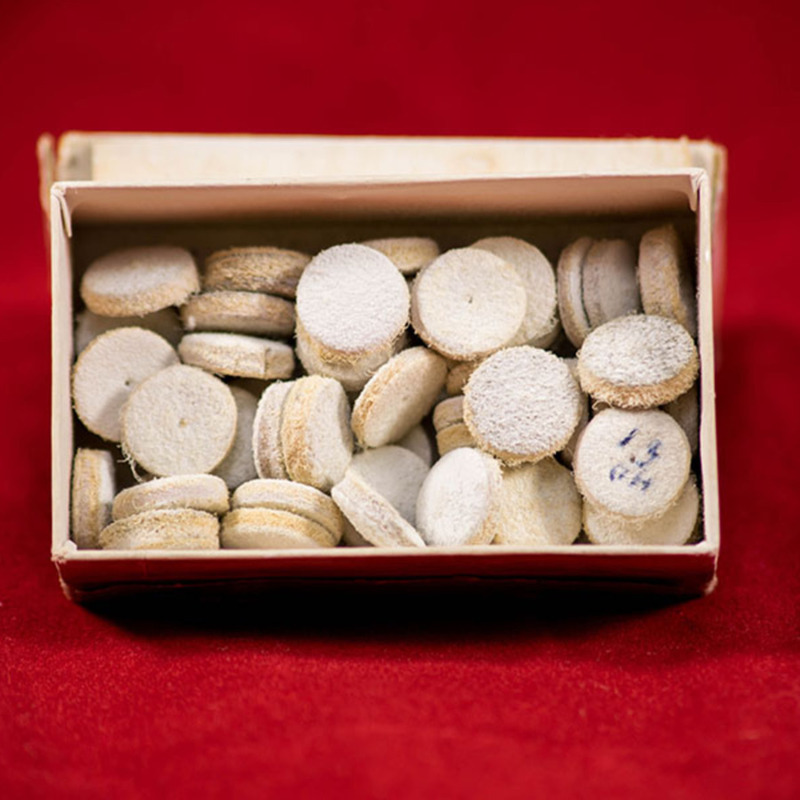 Description: Polishing pads for carrying pumice and other powders for cleaning teeth and polishing restorations. This cardboard box contains several buff polishers, which would be placed at the end of the drill to polish teeth. 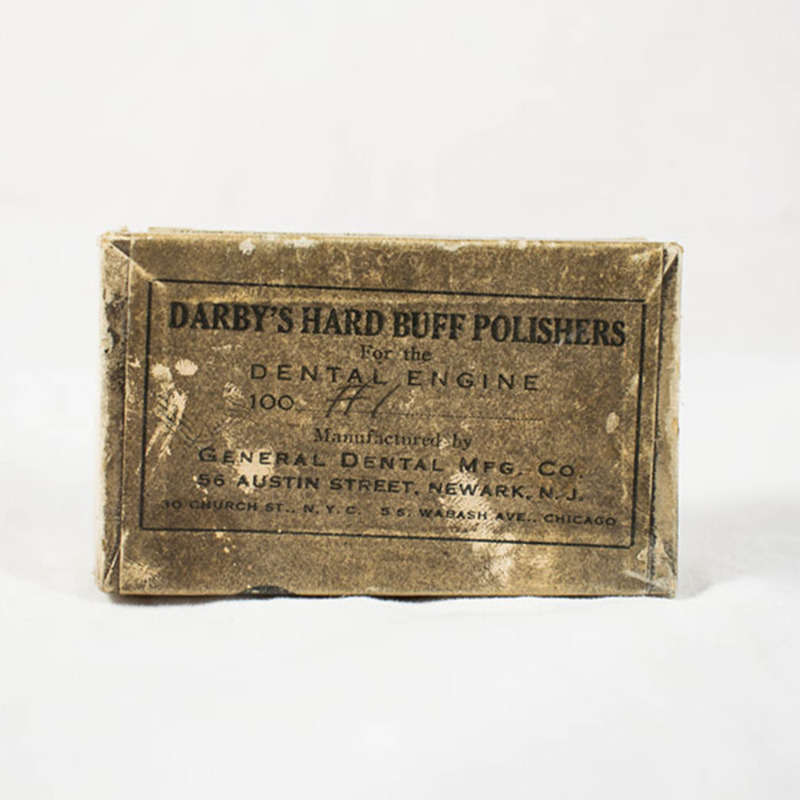 Creator: General Dental MFG Co.